The teaser of superstar Rajinikanth's Kaala has been released. Directed by PA Ranjith of Kabali fame and produced by Rajinikanth's son-in-law and actor Dhanush, the film stars Rajinikanth as a powerful don living in Dharavi slums of Mumbai. The one-minute and seventeen-second teaser begins with Nana Patekar asking 'Kaala, what sort of name is this, man?'. Following Nana Patekar's question, the teaser straightaway introduces Rajinikanth as Kaala with a back ground dialogue 'Kaala means black, God of death, Kaala Karikaalan, one who fights to protect'. It's so refreshing to see Thalaivar back with his unbeatable swags in the action packed teaser. Rajinikanth's one-liner 'Kya re.., Settingahhh?" has already become a rage on social media. The teaser also features Huma Qureshi and Eswari Rao. Apart from Rajinikanth's screen presence, another takeaway from Kaala teaser is the brilliant BG score by Santhosh Narayanan. In fact, it won't be wrong to mention that his BG score has succeded to take Rajinikanth's screen presence to a different level in the teaser. Meanwhile, Kaala teaser has already started trending top on micro-blocgging site, Twitter. The teaser is all set to break all the existing records on social media. 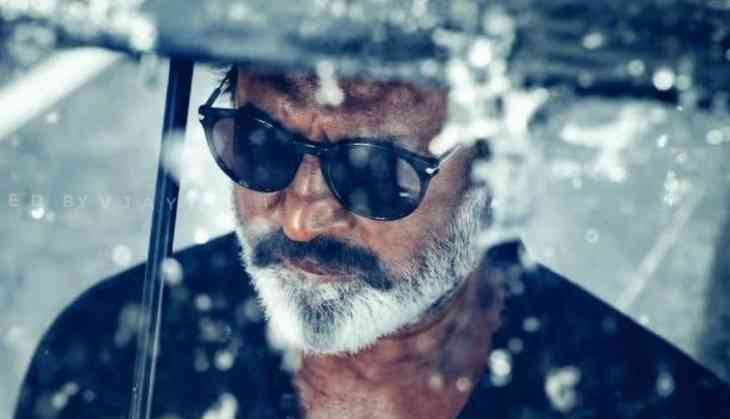 Kaala marks the first collaboration of Rajinikanth and Dhanush. The film is scheduled to have worldwide release on April 27.